Sadly, a significant part of a law enforcement official’s job is handling simple assault and aggravated assault cases. Another part is sharing tips with the public that could keep potential victims safe. In the HVAC world, your furnace can be vulnerable to attacks, too. Sometimes, the assaults are less serious. Other times, they can severely injure your furnace or even put it out of commission. Very often, little attacks on your furnace—if ignored—can escalate to aggravated assaults. That’s why, when you witness problems with your furnace in the Arlington, Grand Prairie or Mansfield areas, it’s important to call the authorities—Texas Air Authorities. 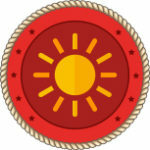 We have the firepower to safeguard your furnace from many of the threats that are out there. And if your furnace should succumb to attack, we have the tools needed to get it back to maximum efficiency and effectiveness for the warm comfort you deserve. It’s more than 15 years old. It’s becoming a dust collector. Your heating bills are unusually high. Our technicians will attack your problem with guns blazing because they’re backed up by experience, training and professionalism. Speaking of professionalism, there’s no mistaking our good guys from the counterfeits at less reputable establishments. We wear uniforms to distinguish ourselves from the crowd, sending the message that we’re on the case to restore your comfort and peace of mind. When we’re called in to handle a furnace repair, we treat it like a crime scene. First, we take the time to run a thorough diagnostics checkup on your current system before attempting any kind of repair service. We have decades of experience and we know the value of preparation. Our attention to detail is what often proves the difference between a temporary fix and a permanent solution. We’re all about solving the case—for good. We’re known in these parts as the team that always gets its man. We have an uncanny ability to track down the bad guys who others in this industry simply can’t seem to locate—no matter how hard they try. And we do it quickly, professionally and affordably. Once we’ve got the bad guys in our sights, we lock them up and throw away the key. Case closed. We’ve got the tools and ammunition to quickly diagnose and efficiently repair your furnace. When we take aim, we hit the bull’s eye—every time. 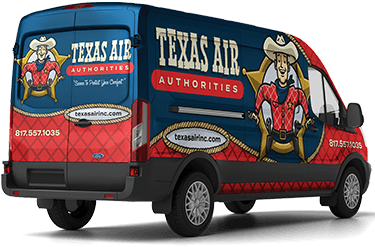 If you live in Grand Prairie, Mansfield, Arlington or nearby, the good guys at Texas Air Authorities have got you covered for furnace repair, AC replacement and installation, air conditioning repair, heater repair and replacement, heat pump repair and more. Simply fill out our online form or call us at 817-402-3576.